Tensions escalated between the United States and Soviet Union in the wake of World War II as the two countries stockpiled nuclear weapons and detonated hundreds of test bombs in the atmosphere. But this arms race had an unexpected side effect: scientists learned for the first time how air behaves in Earth’s upper atmosphere and how pollution, volcanic ash, and radioactive fallout travel around the globe. 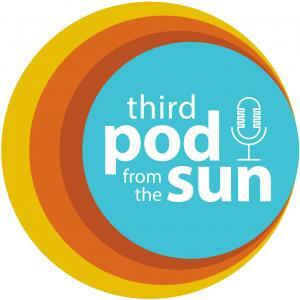 In this inaugural episode of Third Pod from the Sun’s Centennial Series, researchers from NOAA’s Air Resources Laboratory discuss how scientists’ understanding of Earth’s atmosphere changed as a result of the Cold War. Listen to one meteorologist describe witnessing nuclear bomb tests in on a remote Pacific Island and hear how scientists used their newfound knowledge of the atmosphere to trace radioactivity from Chernobyl, the most disastrous nuclear power plant accident in history.